NEW FOR SPRING 2019: NO NEW CLASSES OR PRODUCTIONS. Inspiring individual development through faith-filled acceptance and artistic opportunity. Our #1 goal is to inspire individual development through faith-filled acceptance and artistic opportunity, in a community where everyone shines! For youngsters with personality-plus that love music, singing, and dancing and are just starting their artistic journey. All students will sing and dance and be involved in chorus, group and ensemble scenes. View our calendar for upcoming important dates for events, rehearsals, and performances. 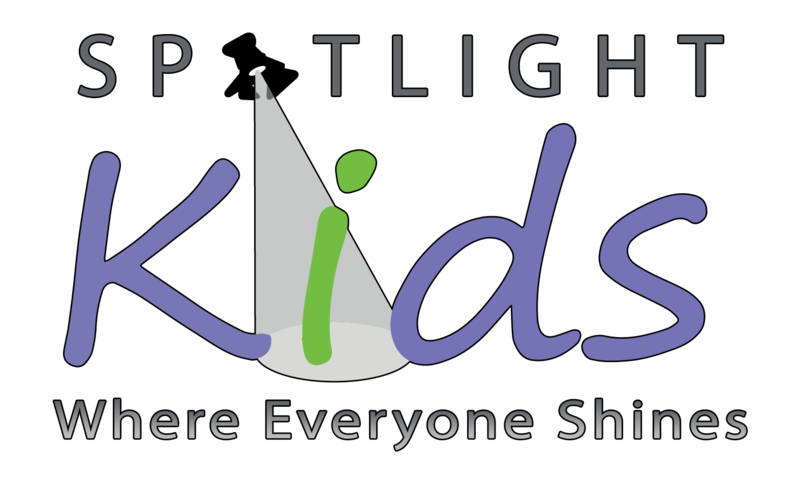 Spotlight Kids is a 501(c)(3) nonprofit organization that creates original, entertaining, and enriching theater for young audiences and adults to enjoy together. We produce high-quality, original productions and develop robust arts-in-education programs, serving children in Brighton, Commerce City, and other north metro Denver, Colorado communities.